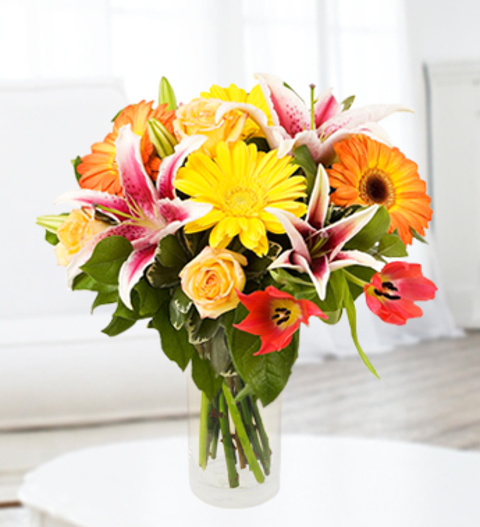 Having trouble deciding which of our beautiful bouquets to send to your recipient? Let our florist choose for you from a selection of the freshest seasonal flowers that we have in stock. Expect a beautifully that could include roses, lilies, gerberas and freesias. The arrangement will be skilfully arranged by our talented British florist and is available for UK next day delivery. FREE box of delicious Belgian chocolates included. Chocolates may contain nuts.